Brig. Gen. Jeffrey D. Broadwater surrounded by children from the Boy and Girl Scouts of America as he reads the Month of the Military Child Installation Proclamation at Jack Rabbit Park, on April 15. 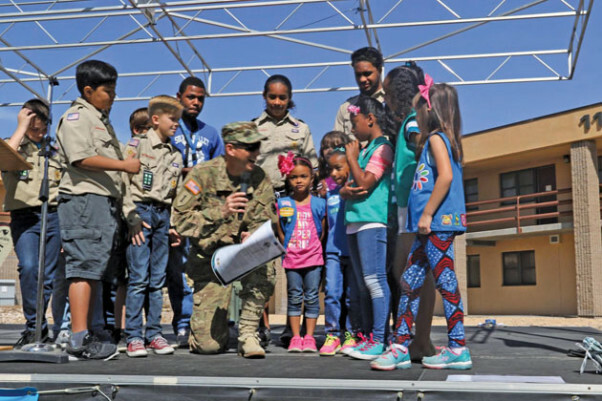 FORT IRWIN, Calif. — After posting the National colors Fort Irwin’s Boy and Girl Scouts of America surrounded the Commanding General, Brig. Gen. Jeffrey D. Broadwater, as he kneeled amongst them reading the Month of the Military Child Installation Proclamation, in an opening ceremony dedicated to military children, at Jack Rabbit Park, on April 15. 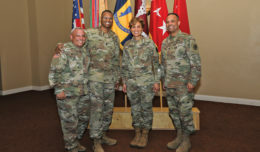 The military community has observed the Month of the Military Child during the month of April over the past three decades. Former Defense Secretary, Caspar Weinberger, established this observance to spotlight the invaluable role of military children throughout the armed forces. Morale Welfare and Recreation (MWR) along with Child and Youth Services (CYS) held their annual Spring Fling at Jack Rabbit Park with an estimated gathering of over 1,200 patrons from the community. The Spring Fling is a seasonal gathering put together to captivate the community into coming out and celebrating the military family. William “Zev” Paul, Parent and Outreach Services director for CYS, organized the event with the approach of bringing the community together, to not only assemble a day of entertainment, but also, to provide the community with knowledge of the different organizations and services offered to support the children, spouses, and even Soldiers of the National Training Center (NTC) and Fort Irwin. Many organizations set up booths and offered free activities for kids such as, the School Age Services who did face paintings and washable tattoos. School of Knowledge, Inspiration, Exploration and Skills (SKIES) Unlimited enthralled the crowd with performances from the Dance Academy and solos from local pianists. “With all the planning to execute such a wonderful event the help of the Directorate of Emergency Service (DES) was well appreciated,” said Paul. DES attended all the planning meetings and brought out one of the children’s most favorite vehicles, the fire truck. Directly adjacent to the park, DES set up a bicycle rodeo offering free helmets, a bicycle safety course, bicycle registration and car seat safety checks. The safety department had a vehicle with an internal thermometer that showed a read out to the crowd of the temperature inside the car which reached internal temperature in excess of 105 degrees. The Month of the Military Child is one of several observances in the month of April. Autism Awareness, Sexual Assault Awareness Month, National Child Abuse Prevention Month, Physical Wellness Month are some the national observances. 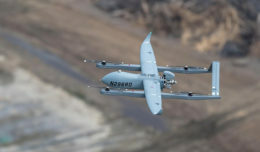 In reiteration, Zev stated his main focus was to pull all resources together “to get as much community participation as possible.” A local pediatrician, Capt. Daniella Fremstad, gave remarks about autism before the Autism Awareness 5K begun. In conjunction, Yalonda Baker the Youth Sports and Fitness director, held the Presidential Fitness Challenge where twenty-five children competed against themselves, and nationally, in a 1-mile run, sit-ups, pushups, and other categories. 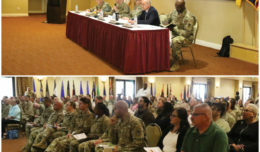 With all the observance activities conducted, NTC and Fort Irwin also celebrated Earth Day with help from the Directorate of Public Works (DPW), environmental division. DPW brought out there critters to educate the community of the animal’s native to the Mojave Desert. The children gathered around to look at the desert tortoise, different snakes, and other animals that also call Fort Irwin home. Paul expressed his gratitude to MWR for allowing CYS to take the lead on this event because he felt this event “invigorated the CYS staff,” to shine the light on children of the NTC and Fort Irwin community, allowing the pieces to fall together in a really successful event. All and all, “It was a really good day,” he said. 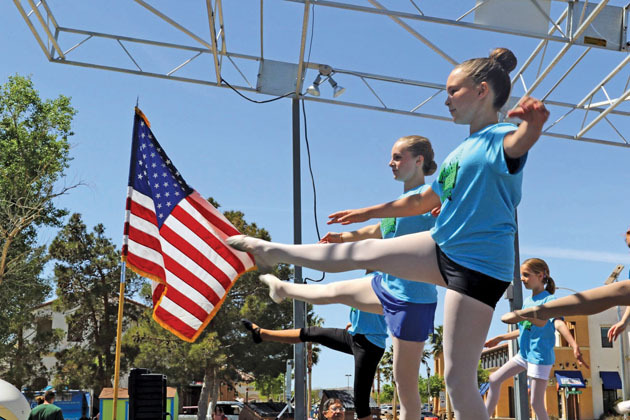 Ballet students of the SKIES Unlimited Dance Academy perform for a crowd of over 1,200 community members gathered for the annual Spring Fling.